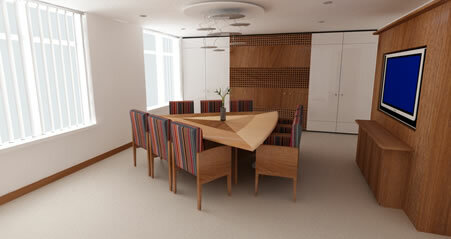 Meeting rooms have a wide range of shapes and sizes. 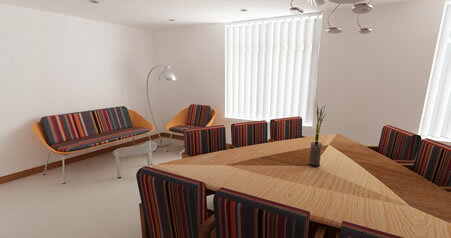 With our services we can make the smallest room seem more spacious. Simply by professionally planning it and taking every aspect and necessity into account and including things when they need to be included. 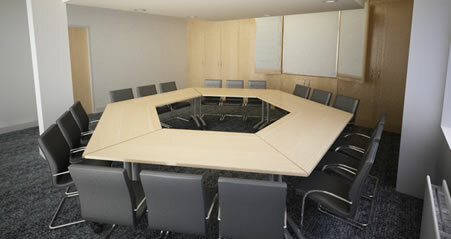 We add things such as meeting tables, where a projector would fit or work better, phone ports and computer desks. When having a meeting it is normally more formal than the average day at work. 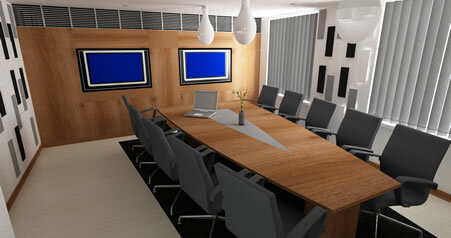 So you would want your meeting rooms to look more formal and professional therefore with our services we can design the room both 2D and 3D so that you can get the full experience of what the room could look like. We can make the room more of a relaxed environment with spacious plans, different colour schemes. Make your meetings impress your customers by choosing black cherry to design your offices.